"What am I in the eyes of most people - a nonentity, an eccentric, or an unpleasant person - somebody who has no position in society and will never have; in short, the lowest of the low. All right, then - even if that were absolutely true, then I should one day like to show by my work what such an eccentric, such a nobody, has in his heart. That is my ambition, based less on resentment than on love in spite of everything, based more on a feeling of serenity than on passion. Though I am often in the depths of misery, there is still calmness, pure harmony and music inside me. I see paintings or drawings in the poorest cottages, in the dirtiest corners. And my mind is driven towards these things with an irresistible momentum." 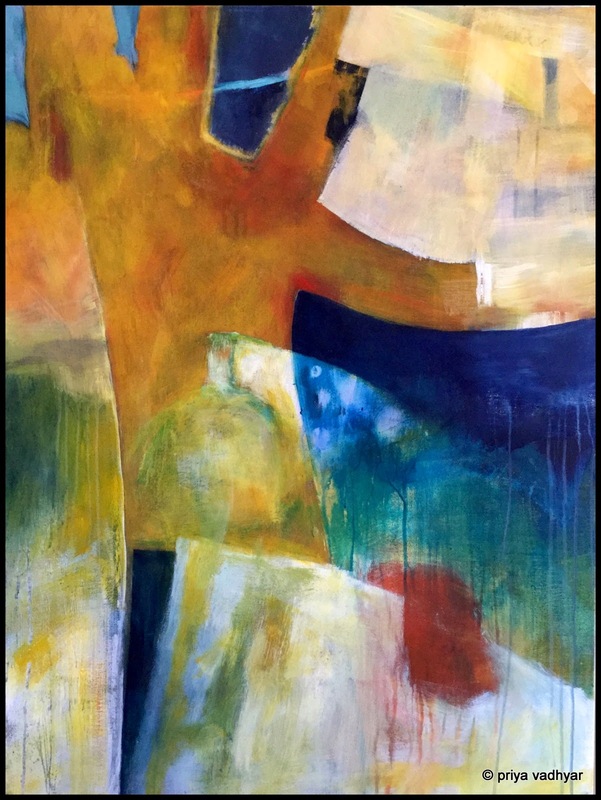 Columbia Art Center is hosting an invitational theme show. Held every spring, the exhibition this year is called 'Portraits and Profiles: Inspirations in My Life'. I am going to be part of this very exciting exhibition, where I'll be showing a 40x30 inch acrylic painting titled 'For Vincent'. The painting is a tribute to Vincent van Gogh. When I was a teen, painting and discovering the joys of art, I found inspiration in Vincent - in his paintings and his letters to his brother Theo. What comes to mind is the rawness, the outpouring of his heart, a rare wisdom and undying faith. I wanted to work on a painting that paid tribute to the great master, and so this painting uses Vincent's iconic colours. It is a painting for Vincent. 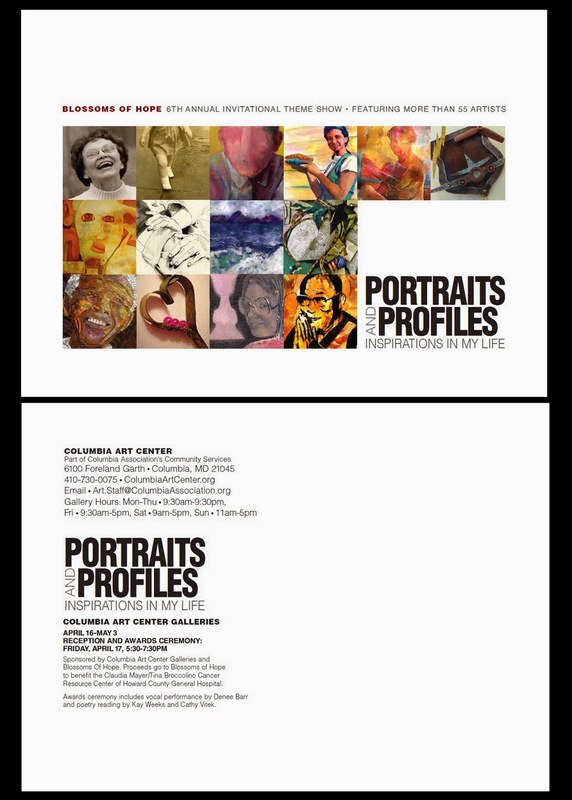 'Portraits and Profiles: Inspirations in My Life' opens on Friday April 17th at 530 pm. Below are the details of the exhibition. So proud of you! I wish we can come to see this one on the exhibition. Thanks for sharing the painting here! ~Karina.